More trade deal optimism sent stocks higher on Wednesday, setting up an interesting situation if a deal doesn’t get done. Should the rug get pulled out from under investors’ feet, equity markets will be in trouble. So far though, the path of least resistance is higher and that will surely be the case if the U.S. and China eventually hammer out a decent deal. With that in mind, let’s look at a few top stock trades for Thursday. Twilio (NYSE:TWLO) has an impressive business with impressive growth. We eyed this baby on a breakout over $100 and were rewarded when it rallied to almost $120 ahead of earnings. Post-earnings though, shares are pulling back a bit, down about 6.5%. So long as it stays over $100 though, it’s hard to get too bearish on this one. Its valuation is nuts, but its fundamentals are strong. $100 could fail, and if we see the lower range support (now near $90) I would be a buyer of TWLO. If you haven’t heard of Invitae (NASDAQ:NVTA), you might want to start doing some research. This little growth hound just keeps on barking and management keeps telling a stellar story. Well, the charts are finally lining up with that bullish bias, busting higher Wednesday by more than 9%. This name looks to be in full-on breakout mode. 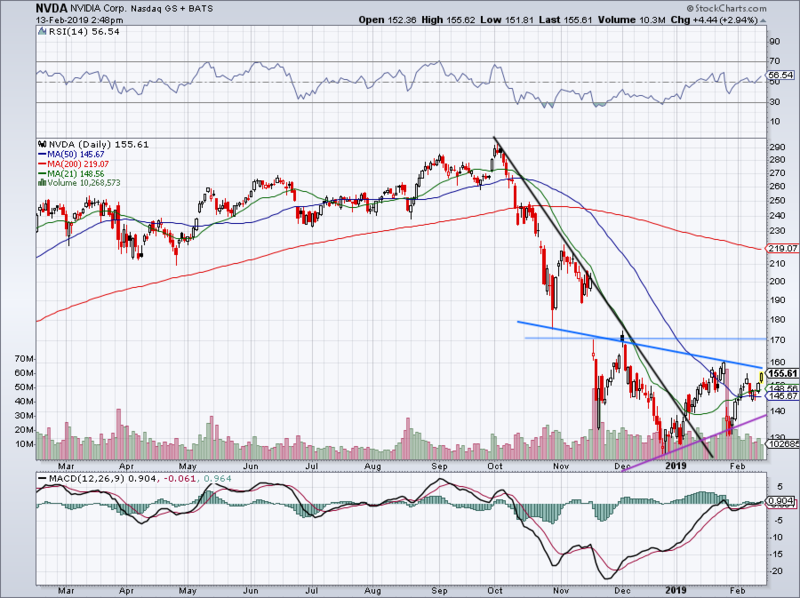 After getting over downtrend resistance in early January, shares slowly but surely pushed higher. 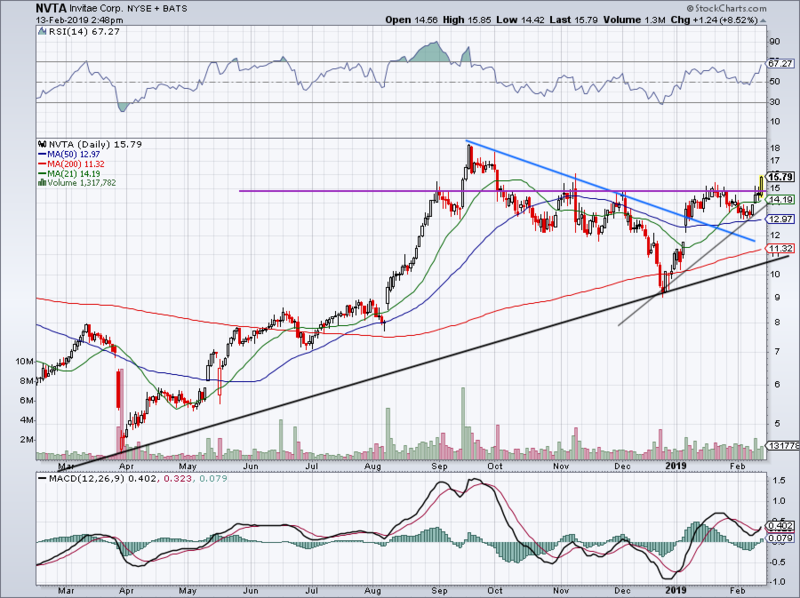 If it can stay over this $15 to $15.50 area, NVTA could challenge its highs near $18. Note: NVTA will report earnings on February 19th. A one-letter difference in the ticker symbol moves us from Invitae to Nvidia (NASDAQ:NVDA). It’s encouraging to see Nvidia rallying here, particularly after its late-January plunge following an unexpected preliminary update to disappointing earnings. It’s hard to imagine that Nvidia management is content to wildly disappoint investors last quarter in November, announce disappointing and unexpected news in January, and then disappoint again in February when it reports on February 14th. But stranger things have happened on Wall Street. For the bulls, they must hope that CEO Jensen Huang & Co. has cooked in low enough estimates and that the Street has lowered its expectations enough. If they have, it gives NVDA stock a chance to rally. A move over downtrend resistance could trigger a rally up to $170. Pushing through and we could fill the gap up to nearly $200. I am not too optimistic that Nvidia will do that all in a few days, but we will see. On the downside, I want to see uptrend support (purple line) hold as support. At the very least, I do not want to see NVDA take out its January low. Apple’s (NASDAQ:AAPL) making headlines following the company’s new streaming efforts, but that’s not doing a ton to help the stock. 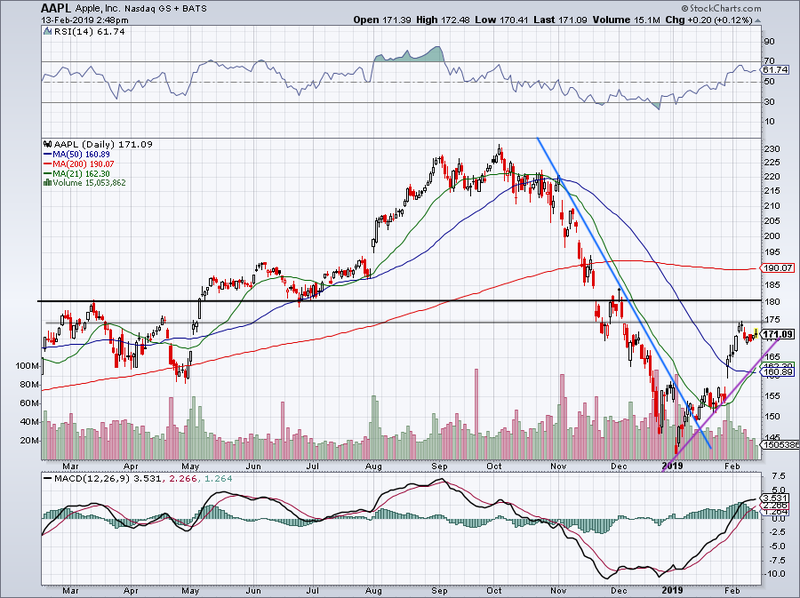 However, shares continue to trade well post-earnings, making a series of higher lows. So far, our trade outline has worked to the penny. Now, if it can take out the $175 to $180 level, we can get a push up the 200-day moving average and possibly $200 per share. We would likely need a deal between the U.S. and China to make the latter happen, but it’s an upside target worth watching. On the downside, look to see that uptrend support (purple line) holds. If it fails, the 50-day is on the table. Positive commentary from Micron (NASDAQ:MU) management is fueling the stock’s recent rally. 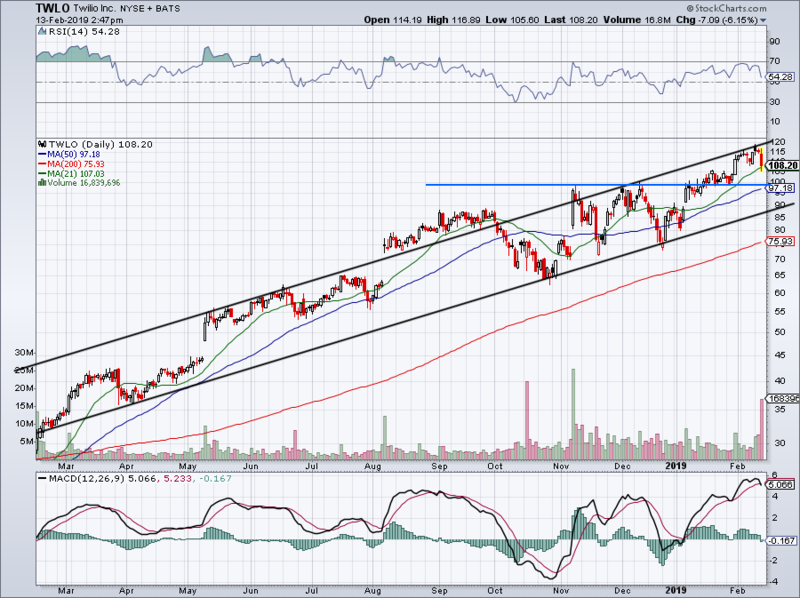 The stock has established a steep uptrend support line as it retests $42 resistance. This level is pretty notable over the last 18 months, mostly acting as support. The question now is, how tough of resistance will it be? 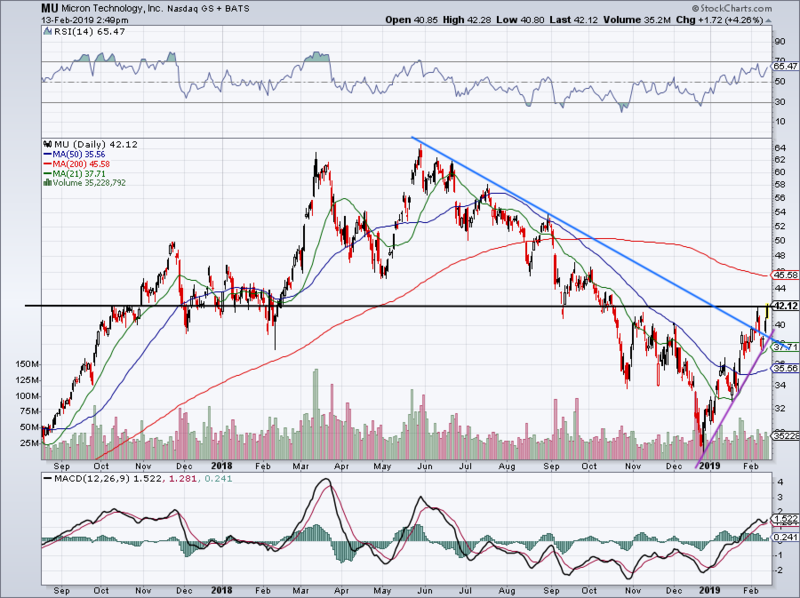 Should it push through, MU stock could see a rally up to $46. On the downside, I want to see prior downtrend resistance (blue line) and/or uptrend support hold as support. Bret Kenwell is the manager and author of Future Blue Chips and is on Twitter @BretKenwell. As of this writing, Bret Kenwell is long AAPL, NVDA and NVTA.